How progress the production relations in transition period into the innovation economics during post-industrialization period. How this process examining in growth theories. The knowledge factor, by having been an increasing return along the patent economic length, cause an increase in total factor productivity of the industries where the knowledge employed as an input. Knowledge by having been realized a higher marginal return compare to average return is a production factor with an increasing return. Since the knowledge input have been an increasing return, this characteristics of the factor brings its effect in production process dynamic. This structure of the knowledge factor creates increasing return in production function. Whether indicate adequate effect of this qualification of knowledge input respect to the attempt of emerging economies rise from middle income trap , and how? In this study, the subject analyzed within the concept of a developed model that based on factor augmenting technologies approach in the theory. Sanayileşme dönemi sonrasında inovasyon-yenilik ekonomisine geçiş sürecindeki üretim ilişkileri nasıl gelişmektedir. Bu süreç büyüme teorilerinde nasıl ele alınmaktadır. Bilgi faktörünün, patentin ekonomik ömrü boyunca artan getiriye sahip olması; bilginin girdi olarak kullanıldığı sanayilerde toplam faktör verimliliğinde artışa neden olmaktadır. Marjinal getirisi ortalama getirisinin üzerinde gerçekleşen bilgi, artan getiriye sahip bir üretim faktörüdür. Bilgi girdisinin artan getiriye sahip olması, bu faktörün üretim sürecindeki etkisini dinamik hale getirmektedir. Bilgi faktörünün bu yapısı, üretim fonksiyonunda artan getiri yaratmaktadır. Gelişen ekonomilerin orta gelir tuzağından çıkışında bilgi girdisinin bu niteliği yeterli etkiyi gösterecek mi, nasıl? Çalışmamızda bu konu, teorideki faktör geliştiren teknolojiler (factor augmenting technologies) yaklaşımından yola çıkılarak geliştirilen bir model kapsamında incelenmiştir. Anahtar Kelimeler: Orta gelir tuzağı, büyüme teorileri, içsel ekonomik büyüme, faktör geliştiren teknolojiler, rekabetten kaçış etkisi, Schumpeteryan etki. JEL Sınıflaması: O40, O41. Acemoglu, Daronve David Autor (2012).What does human capital do? A review of Goldin and Katz's the race between education and technology, National Bureau of Economic Research-NBER Working Paper Series 17820, Ãubat. Acemoglu, DaronveUfukAkcigit (2012).  Intellectual property rights policy, competition and innovation, Journal of the European Economic Association, Ãubat. Acemoglu, Daron, UfukAkcigit, Nicholas Bloom ve William R. Kerr (2013).Innovation, reallocation and growth, NBER Working Paper Series 18993, April. Aghion, Philippe ve Peter Howitt (1992). A Model of growth through creative destruction, Econometrica, March, 60 (2), 323â351. Aghion, Philippe, Nick Bloom, Richard Blundell, Rachel Griffith ve Peter Howitt (2005). Competition and innovation: An inverted-U relationship, The Quarterly Journal of Economics, May, 102:701-728. Aghion, Philippe, UfukAkcigitve PeterHowitt (2013).What do we learn from Schumpeterian growth theory, NBER Working Paper Series 18824, February. Aghion, Philippe, Stefan Bechtold, Lea CassarveHolgerHerz (2014).The causal effects of competition on innovation: Experimental evidence, NBER Working Paper Series 19987, March. Cai, Fang (2012).Is there a "Middle-income Trap?Theories, experiences and relevance to China, China & World Economy, 49-61, Vol.20, No.1. ÃalÃ½Ã¾Ã½r Mustafa veAhmetGÃ¼lmez (2007).GÃ¼neyKore'ninbaÃ¾arÃ½sÃ½nÃ½narkasÃ½ndakiar-gegerÃ§eÃ°iveTÃ¼rkiyeilebirkarÃ¾Ã½laÃ¾tÃ½rma [R&D reality behind the success of South Korea and a comparison with Turkey], BilgiEkonomisiveYÃ¶netimiDergisi, Cilt II, SayÃ½ I.
Eichengreen, Barry, Donghyun Park veKwanho Shin (2011).When fast growing economies slow down: International evidence and implications for China, NBER Working Paper Series, 16919, Mart. Eichengreen, Barry, Donghyun ParkveKwanho Shin (2013).Growth slowdowns redux: new evidence on the middle-income trap, NBER Working Paper Series, 18673, January. Fan, Shenggen, Ravi Kanbur, Shang-Jin Wei veXiaobo Zhang (2013).The economics of China: Successes and challenges, NBER Working Paper Series, 19648 November. Fernald, John G. ve Charles I. Jones (2014), The future of U.S. economic growth, NBER Work.Paper 19830, January. Freeman, Richard B. (2013).One ring to rule them all? Globalization of knowledge and knowledge creation, NBER Working Paper Series, 19301, August. Garcia, Paloma Lopez ve Jose Manuel Montero (2012). Spillovers and absorptive capacity in the decision to innovate of Spanish firms: the role of human capital, Economics of Innovation and New Technology, Vol.21, No.7, October, 589-612. Gill,IndermitveHomiKharas (2007).An East Asian Renaissance Ideas for Economic Growth, The International Bank for Reconstruction and Development / The World Bank, Washington DC, USA. Gill, IndermitveHomiKharas (2009).Gravity and friction in growing East Asia, Oxford Review of Economic Policy, Special Issue, April. Grossman, Gene M. ve Elhanan Helpman (1991), Innovation and growth in the global economy, Cambridge, MA: MIT Press. Kogan, Leonid, DimitrisPapanikolaou, AmitSeru, Noah Stoffman (2012).Technological innovation, resource allocation, and growth, NBER Working Paper Series 17769, January. Kogan, Leonid, DimitrisPapanikolaou (2012).Growth opportunities, technology shocks, and asset prices, NBER Working Paper Series 17795, January. KurtoÃ°lu, Yusuf (2012), China, from catch-up growth to innovation-driven economy, International Joint Conference: 11th International Conference of the Asian Chapter and 2nd Conference of MENA, Chapter of the Academy of Human Resource Development and 11th International Conference of Knowledge, Economy and Management, 8-10 KasÃ½m, Ãstanbul. Link, Albert N. ve John T. Scott (2012), Employment growth from public support of innovation in small firms, Economics of Innovation and New Technology, Vol.21, No.7, October, 655-678. Ostbye, Stein E., ve Matthew R. Roelofs (2013), The competition-innovation debate: is R&D cooperation the answer?,Economics of Innovation and New Technology, Vol.22, No.2 March, 153-176. Ãz, Sumru (2014), Diffusion of technology: Convergence implications of FDI, KoÃ§ University-TÃ¼siad Economic Research Forum Working Paper Series, 1407, March. Romer, Paul M.(1990), Endogenous technological change, Journal of Political Economy, Oct.98(5), S71-S102. Stokey, Nancy L. (2012), Catching up and falling behind, NBER Working Paper Series, 18654, December. Segerstrom, Paul, Endogenous growth without scale effects (1998), American Economic Review, December, 88 (5), 1290â1310. Ãnsal, Erdal M. (2007).ÃktisadiBÃ¼yÃ¼me [Economic Growth], ÃmajYayÃ½ncÃ½lÃ½k, Ankara. West, Darrell, Allan Friedman ve Walter Valdivia (2012), Building an innovation-based economy, Governance Studies at Brooking, November. Yeldan, ErinÃ§, KamilTaÃ¾Ã§Ã½, EbruVoyvoda, Mehmet EminÃzsan (2012).OrtaGelirTuzaÃ°Ã½'ndanÃÃ½kÃ½Ã¾: HangiTÃ¼rkiye?Cilt 1: Makro/BÃ¶lgesel/SektÃ¶relAnaliz [Rise From Middle Income Trap: Which Turkey? 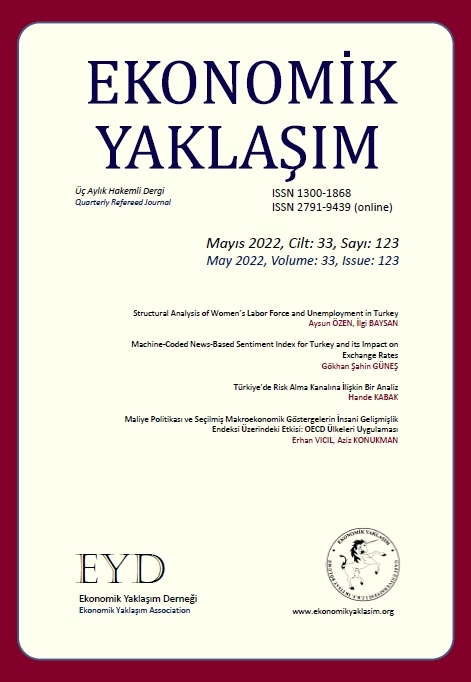 Volume 1: Macro/Regional/Sectoral Analysis], TÃRKONFED TÃ¼rkGiriÃ¾imveÃÃ¾DÃ¼nyasÃ½Konfederasyonu, Ãstanbul, AralÃ½k. Yeldan, ErinÃ§, KamilTaÃ¾Ã§Ã½, EbruVoyvoda, Mehmet EminÃzsan (2013), OrtaGelirTuzaÃ°Ã½'ndanÃÃ½kÃ½Ã¾: HangiTÃ¼rkiye?Cilt 2: BÃ¶lgeselKalkÃ½nmaveÃkiliTuzaktanÃÃ½kÃ½Ã¾Stratejileri [Rise From Middle Income Trap: Which Turkey? Volume 2: Regional Development and Escape Strategies From Dually Trap], TÃRKONFED TÃ¼rkGiriÃ¾imveÃÃ¾DÃ¼nyasÃ½Konfederasyonu, Ãstanbul, KasÃ½m. www.imf.org. (EriÃ¾imtarihi; 04.11.2013).